If you’re a teen, you may think you’ve heard all there is to know about drugs and alcohol. After all, parents and school officials probably speak to you on the subject often. What you might not know, however, is how drugs and alcohol affect you as a driver. Here are some of the facts, including the penalties that can cause you to lose your driving privileges. Driving Under the Influence (DUI) refers specifically to a driver having a blood alcohol concentration (BAC) of .08 or higher. (However, a person may be charged with a per se DUI even if he/she is under the legal limit of alcohol). This is the national standard, but each state has its own way to describe drivers who are impaired, including the following terms: DUI, Driving While Intoxicated (DWI), Operating a Motor Vehicle While Intoxicated (OMVI), Operating Under the Influence (OUI), Driving While Ability Impaired (DWAI), and Operating a Motor Vehicle While Impaired (OVI). What about drivers under 21 years of age? All fifty states (including the District of Columbia) have created zero tolerance laws for minors under the legal drinking age of 21. Anyone under this age who is caught with even a small amount of alcohol in his/her system will be charged with a DUI offense. In most states, the zero tolerance BAC level is .02 percent. Some penalties that can result from this offense include: fines ranging from $300 to $1,000, considerable hours of required community service, a required completion of an alcohol evaluation and/or substance abuse program, jail time ranging from ten days to one year, and (often) driver’s license suspension. Some states also have laws requiring a DUI offender’s vehicle to be impounded under certain conditions, including if the DUI driver is under 21 at the time of arrest. Impounded vehicles can incur many fees, including storage and administrative charges. Many states also require that an ignition interlock device, which is installed on a driver’s dashboard and works as a breathalyzer, be installed after the second DUI offense. If the mechanism registers a higher blood alcohol concentration higher than 0.02 to 0.04 percent, the vehicle will not start. The state of Hawaii has a unique requirement; it requires that parents of a teenage DUI offender attend an alcohol abuse educational program. Additional penalties can add up quickly for offenders under 21, but there are other reasons drivers may face harsher punishments, including: the refusal to take a chemical test, excessive speeding, prior DUI convictions (which can eventually lead to being charged with a felony), an accident causing bodily injury, death, or property damage, or a high BAC (blood alcohol content) level. Higher charges may also apply to drivers that have a minor as a passenger at the time of arrest, though ages vary by state. What Can I Expect If I Have to Take a Field Sobriety Test? If a police officer suspects you of driving under the influence, he/she will ask if you have been drinking and/or how much you have had to drink. However, even if you admit to drinking, the officer must have evidence of intoxication to request you take a field sobriety test. Evidence of intoxication may include: empty beer or liquor containers, watery or bloodshot eyes, alcohol-tainted breath or clothing (smell), slurred speech, or a difficulty finding your insurance, registration, or driver’s license. Failing a field sobriety test leads an officer to request that you take a breath, blood, or urine test to determine the cause of your intoxication or altered state of consciousness. All states enforce Implied Consent laws, which state that if you hold a valid driver’s license and are suspected of a DUI, you voluntarily consent to take a chemical test to determine your BAC level. Refusing will result in your driver’s license being suspended for a lengthy amount of time. Can I Challenge the Breathalyzer Results? It is possible to challenge the results of your breathalyzer test, but if you are guilty, it’s best to admit your problem and get help. Some reasons a breathalyzer test might not apply include situations in which the machine was not maintained properly or functioning correctly or situations in which the test was not administered properly or the administrator was not trained properly. More permissible reasons include situations in which the driver’s results were negatively affected because he/she was exposed to chemicals while cleaning, varnishing, or painting and situations in which the driver has a medical condition that could affect the results, including asthma, diabetes, and acid reflux disease. To be cleared of a DUI offense, a judge must rule that your results are unreliable. What Constitutes Driving Under the Influence of Drugs (DUID)? Driving under the influence of drugs is different than a traditional DUI offense. Though the criminal punishments are similar, under the influence of drugs, many states do not suspend your driving privileges. The DMV can only step in when drivers are violating the “per se” laws of the state. These laws make operating a motor vehicle with a blood alcohol content over the legal limit a crime, but there are no “per se” levels established for DUID. In many DUID situations, being “under the influence” means that the driver is unable to operate his/her vehicle in the way that he/she usually could sober. In other words, is the driver too impaired to drive safely? A DUID classification does not only include illegal drugs; it also includes legal drugs, including over-the-counter or prescription medications. If a driver is kept on DUI suspensions but does not fail a breathalyzer test, he/she will likely be detained for urine or blood tests to detect DUID situations. 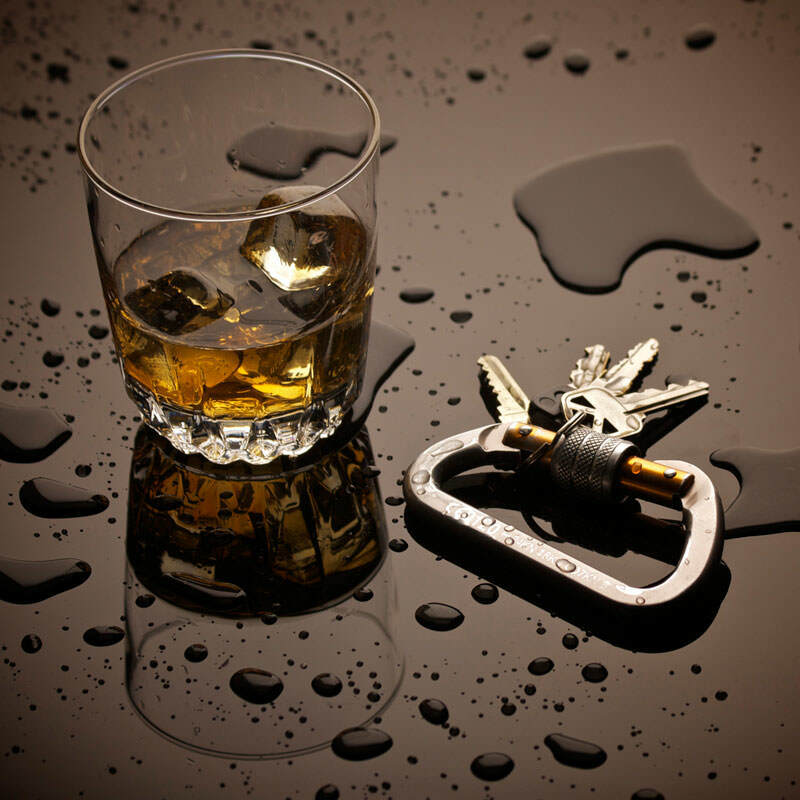 What Will Happen if I am Convicted of a DUI? If convicted of a DUI, you will likely be required to attend a DMV administrative hearing. At this hearing, the court will determine if your driving privileges will be revoked or suspended. Most states allow you an attorney at these hearings, despite the fact that the DMV is not technically a court of law. DMV administrative hearings usually take place at a local DMV office, though some states hold telephone hearings. In-person hearings can be more effective, as convicted drivers are allowed to have witnesses testify about their characters and submit evidence to the hearing officer directly. Many states have very strict DUI penalties that include license suspension. Depending on the state and number of offences committed, this suspension can range from several months to several years. States with the harshest penalties include Florida, Georgia, New Mexico, Arizona, and Illinois. With the IDLC law applicable in many states, your DUI will also likely transfer across state lines. However, if you are arrested in state other than your home state (where you hold a driver’s license), you cannot be charged with a crime in that state. You should know, however, your home state has the power to convict you, and it will likely do so. They must have proof of a valid driver’s license and liability insurance at the time of suspension. They must have a need to drive to or from: school, work, court-ordered community service or alcohol/drug treatment programs, or their or a family member’s medical treatment. They must have only one license suspension. Each state has different regulations surrounding license suspension, so be sure to check with your local DMV. It is never a good idea to drink or use drugs before driving. Not only can you injure yourself; you can harm others as well. Take some time to think before you grab your car keys. If you’re under the influence, call a taxi or a friend for a ride home or stay where you are. Most parents are understanding and would rather pick you up than have you drive home in a dangerous condition. Public transportation, like subways and buses, are another option, though traveling with someone you know or in a taxi is the best choice.